Hair length is the distance measured from the root to the tip of the hair. Different lengths of hair have different prices. If your order’s hair length exceeds 6 inches, the cost will be higher. Below is a length grading sketch for your reference for you to judge the hair length you actually want. This video shows you how to measure the hair length of your hair system. 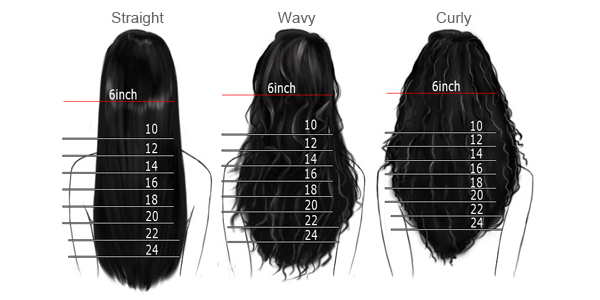 If you want to order a hair system with hair length exceeding 24”, please contact us in advance.